Eri Klas (b. 1939) is a native of Estonia. His greatest musical influence came from David Oistrakh, a great friend of his family. Eri Klas was Music Director of the Estonian National Opera in Tallinn from 1975 until 1994, when he became Conductor Laureate. He was subsequently Chief Conductor of the Royal Opera in Stockholm (1985-1989), Principal Guest Conductor of the Finnish National Opera (since 1990), Chief Conductor of the Danish Symphony Orchestra in Århus (1991-1996), Chief Conductor of the Netherlands Radio Symphony Orchestra (1996-2003) and Artistic Director of the Tampere Philharmonic Orchestra (1998-2006). Currently, Eri Klas is Music Director of the Moscow Kolobov New Opera Theatre. Altogether, he has conducted more than 130 orchestras from all over the world. Eri Klas was a Professor of Orchestra Conducting at the Sibelius Academy from 1993-1997 and is currently Professor at the Estonian Music Academy. 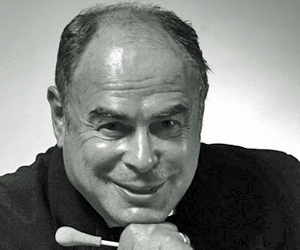 Eri Klas is closely associated with leading contemporary composers: he conducted many world premières. Eri Klas has been awarded the Order of 'Nordstjernen' from H.M. King Carl Gustav of Sweden, the Order of Finnish Lion, the Order of White Star from the President of Estonia and an honorary doctorate from the Estonian Music Academy. He is a Goodwill Ambassador of Unicef.